The Founder, Mr Vinod Gupta always believes in ‘Learn, Earn and Return,’ he recognizes the value of nature and its indubitable contribution to human life. Over the years a balanced ecological system has been a seal in flourishing of human civilization on the earth. Wild animals are vital part of our eco-system, they have a significant role in maintaining ecological balance. Now a days, when hunting and climate change like factors are being responsible for extinction of different wild animals, their existence is in danger. Hence it becomes indispensable to maintain ecological balance by the conservation of wildlife. Vinod Gupta Charitable Foundation has contributed significantly to Wildlife Conservation in India. 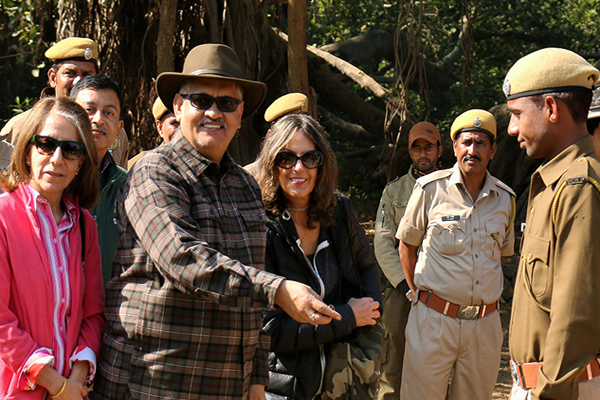 The foundation is actively involved at Ranthambore Tiger Reserve, Rajasthan, and has provided funds and material such as Jeeps, Motor cycles, Bus, GPRS Systems, Computers, Laptops, High resolution binoculars, Professional cameras, Night vision devices, LED Lights, Jackets, Shoes etc. to the forest guards, rangers and guides working there. It has also constructed large water reservoirs, toilets and staff quarters at the Ranthambore National Park.